The Robert Mühle Zeigerdatum – M1-11-46-LB. 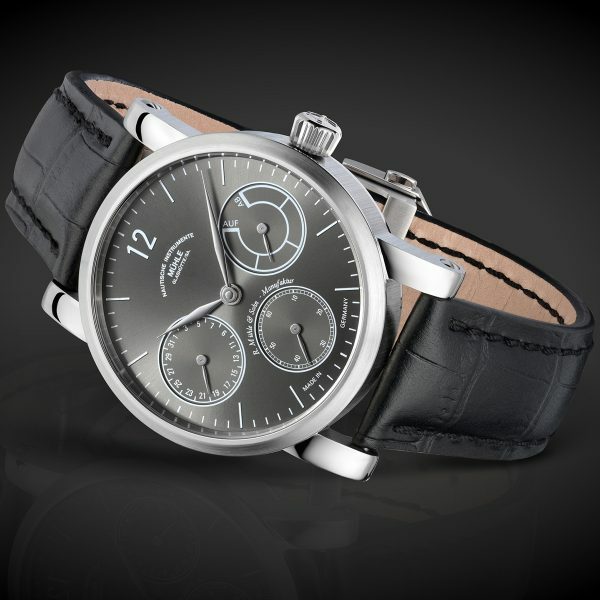 100 piece Limited Edition Manufacture series from Mühle Glashütte, featuring pointer date, small seconds and power reserve on anthracite grey dial with polished steel hands, in a 44mm stainless steel case with exhibition caseback revealing in-house RMK03 hand winding movement with 53 hour power reserve. The Robert Mühle Zeigerdatum - M1-11-46-LB. 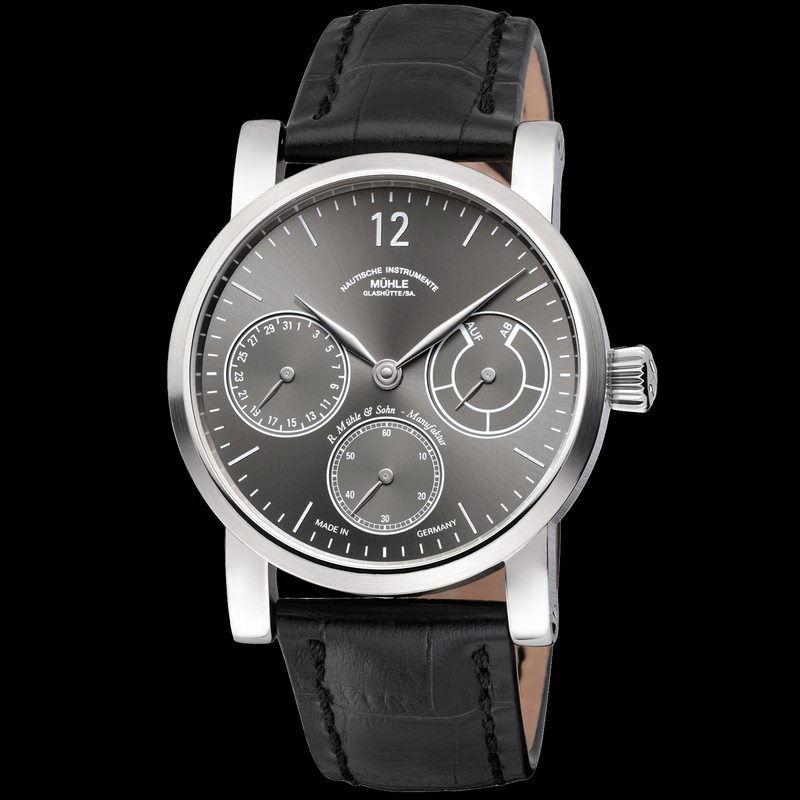 100 piece Limited Edition Manufacture series from Mühle Glashütte, featuring pointer date, small seconds and power reserve on anthracite grey dial with polished steel hands, in a 44mm stainless steel case with exhibition caseback revealing in-house RMK03 hand winding movement with 53 hour power reserve.